Does this look like a bowlful of bones to you? or a bowlful of mess? We're going to a Halloween party after school tomorrow at a classmate's house and we're bringing these as a treat. 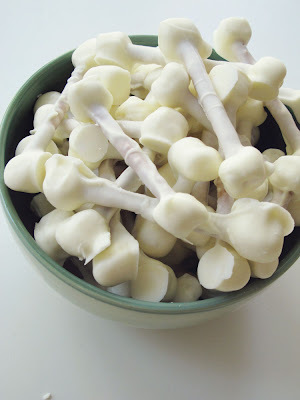 They are stick pretzels with a marshmallow stuck on each end and then dipped in white chocolate. I found the recipe here. We were thinking about making these next but I don't know...those chocolate melts make a mess! Ok third times a charm! And if my other two tries to post a comment show up, just delete them. So when my 12yr old son comes home from school I'm going to show him these fun bones and then I'm sure we will be heading to the store for supplies! Lol Thanks for sharing such a fun treat! Sweet, salty, crunchy, and smooshy...perfect! Yummy! Clever idea! 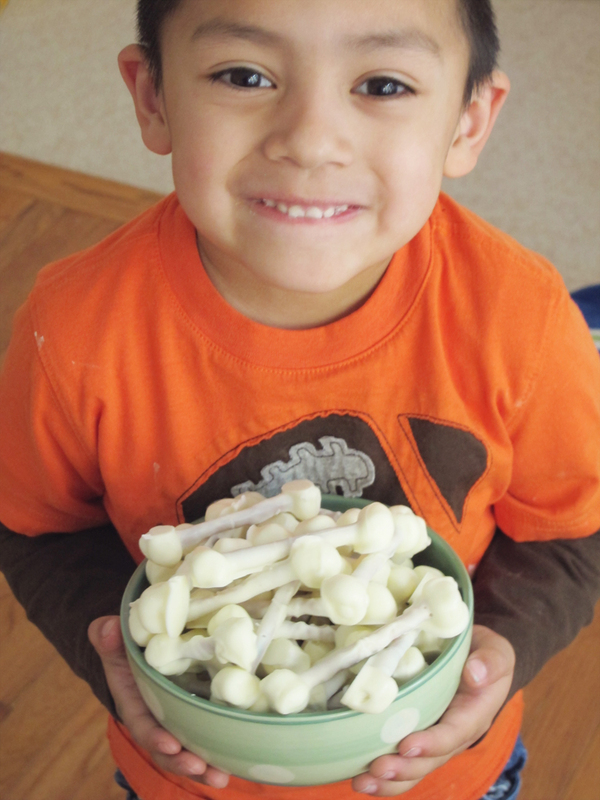 Love dem bones! Haha! What a great idea! So fun!